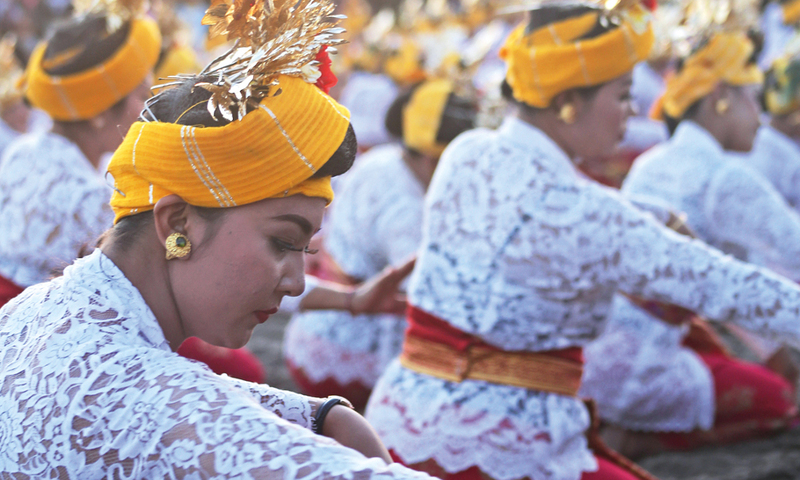 Bamboo is one commodity that plays an important role in balinese life, from being used to build a house, weaved into a roof or basket, used as the pole to make penjor – a special decoration erected in front of the house during galungan and kuningan holy celebrations – and also transformed into a set of instruments. 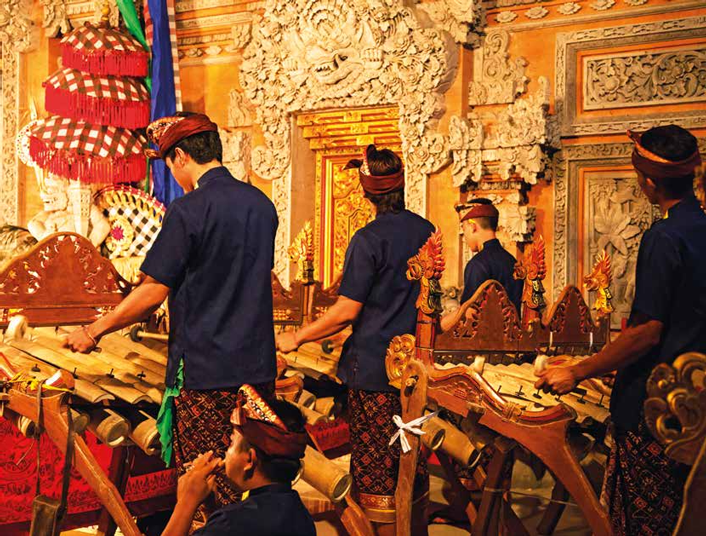 One of the indigenous balinese instruments made of bamboo is jegog, a set of instruments that resemble a xylophone. Jegog is originally from the west of the island, in the Jembrana regency. A Jegog ensemble consists of four types of sound. The lowest octave instrument is called Jegog, a large xylophone-like instrument which requires the player to sit on it while playing the music. And then there are two melody playing instruments called Undir and Kuntung– two octaves higher than jegog. The instrument is still considered large in shape so the player needs to crouch on top of it. The higher pitches are Kancil and Suir, which are one octave higher than the melody playing instruments. 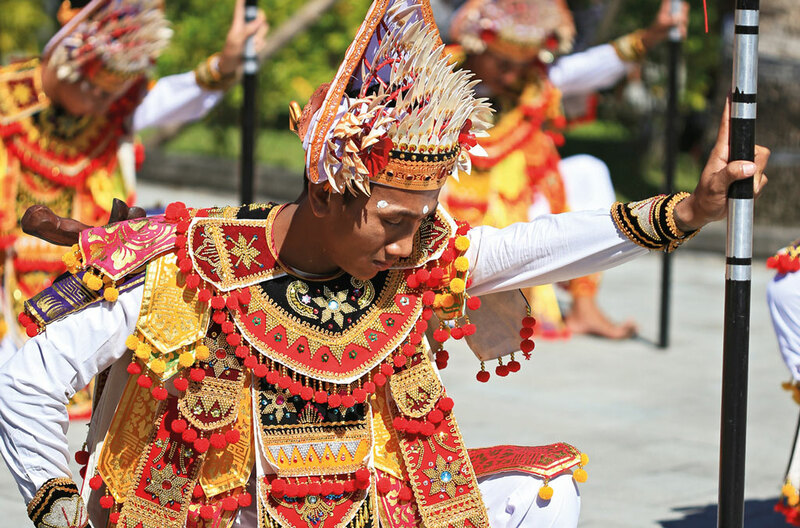 Last but not least is the Barangan, the leader of the ensemble. It is usually played faster than any other. 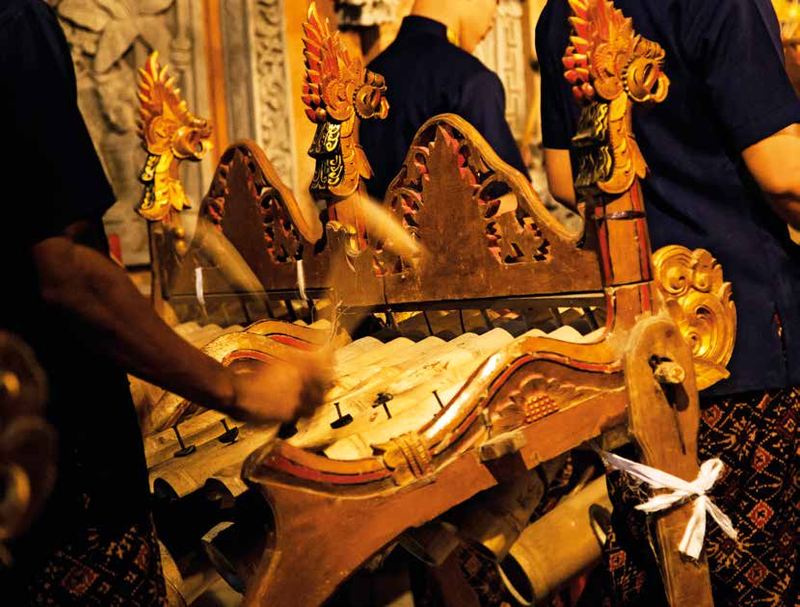 Every Wednesday evening, starting at 7:30pm, Sekaa jegog yowana Swara ubud plays some numbers at pura dalem ubud. the jogog troop plays a beautiful and upbeat musical arrangement amidst the mystic ambience of pura dalem ubud, a temple in the heart of ubud. the ensemble delivers powerful and dynamic sounds enlivening the dark and solemn ambience of the temple that consists of a huge old banyan tree. The strong dynamic sound of jegog fills the air as the vibration of the sound escorts the audience to the rural part of the island where bamboo forests and rice fields exist, where the farmers play a simple home-made bamboo arrangement in their humble hut in the middle of lush green rice fields. Sekaa jegog yowana Swara ubud made the evening special with their meticulous performance, not only reciting several numbers but also accompanying the music with some beautiful dances, such as pendet, baris, belibis, gopala and makepung dances.